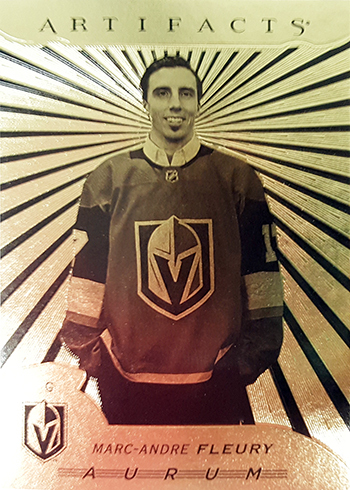 When Upper Deck unveiled the company’s new Bounty Program with 2016-17 NHL® SP Authentic, collectors quickly scurried to put together the 99-card Spectrum FX set in order to receive a variety of achievement rewards based on how quickly they completed the set. The challenge was difficult, but in a matter of weeks the main achievement rewards were claimed. The program came to life out of learnings from the Upper Deck e-Pack™ platform where achievement programs are very popular. 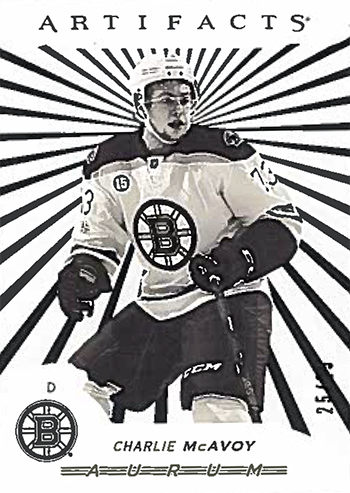 Upper Deck worked to bring that type of interaction to the hobby level with products that were not offered on e-Pack beginning with 2016-17 NHL® SP Authentic and now with 2017-18 NHL® Artifacts. We saw firsthand with the SP Authentic Bounty program that collectors were all of a sudden engaged in collecting sets again. The social aspect of collecting had been sparked again where those competing made trades with others in shops, at shows, on message boards, and various social media platforms. It was exciting to watch as fans mobilized to be some of the first collectors to finish off the set. 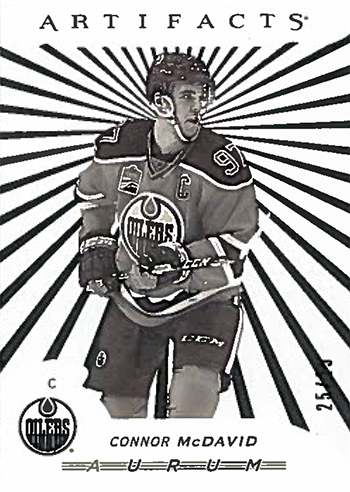 In order to participate in the Upper Deck Bounty program for 2017-18 NHL® Artifacts, fans need to collect the 50-card Aurum set and then redeem the codes located on the back of each card. Codes can be redeemed at www.UpperDeckBounty.com where a live tracker will indicate the amount of sets completed. Collect all the Gold Aurum cards and you can score some great achievement cards. 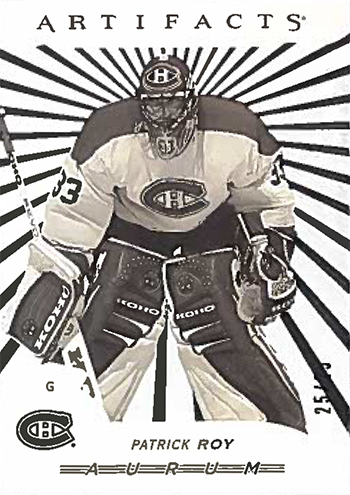 Collect the 50-card set, scratch off the codes on the back and enter them at www.upperdeckbounty.com to score! 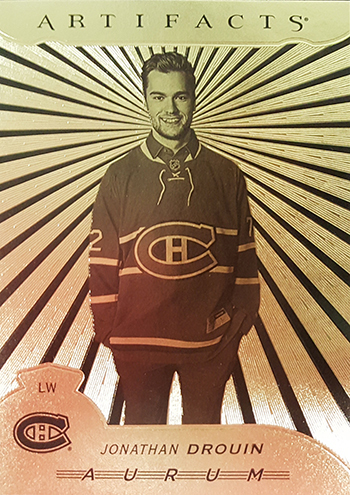 In addition to the six-card Aurum White set that the first 25 collectors can earn, there are two additional Bounty achievements, which include a card featuring the first 2017 NHL Draft™ pick and a card featuring the second 2017 NHL Draft pick™; such cards shall may be made available at a later date, provided these athletes make their respective professional debuts prior to January 1, 2018. If these prospects make their professional debuts prior to January 1st, 2018, the 25 collectors that have earned the 6-card Aurum White set will also receive up to two additional “Bonus” Aurum White achievement cards featuring these respective players. If these prospects do not skate in an NHL regular season game before January 1, 2018 there will be no Bonus Achievements provided to the collectors. Fans that complete their sets after the first 25 collectors will certainly not be precluded from this program. Rather, they will be eligible to receive those Aurum Gold card #51 and #52 cards of the top two picks as long as they make their professional debuts before January 1, 2018. Once fans have redeemed their codes in a timely fashion for this challenge, they can recieve their achievement cards shipped directly to them or transferred to Check Out My Cards (COMC). Various costs, fees and other requirements may apply with respect to COMC. If a collector chooses to have these achievement cards sent directly to them, they cards will be mailed soon after they are made available. Shipment and arrival dates are not guaranteed and may vary. Collectors are not responsible to pay for the shipment of achievement card(s) through the Upper Deck Bounty program as long as their shipping address is located within the United States or Canada. If a collector selects a shipping address located outside of the United States or Canada, the collectors is solely responsible to pay for the shipping, duty and other applicable costs to receive their achievement card(s). Ready? Set? Collect! 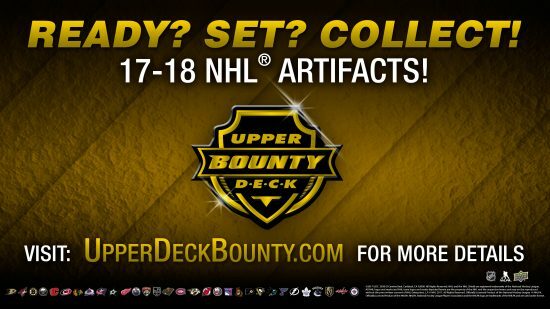 The Upper Deck Bounty is on when 2017-18 NHL® Artifacts hits hobby shops across North America on Wednesday, September 27, 2017! Take a look at a preview of Artifacts and some tips on how to make the most of the Bounty program! how do i redeem the code on the Aurum card?